What Do Efficiency Pros Want? Financing. What Do They Lack? Financing. Third-party financing has stimulated a boom in U.S. solar. But it’s still a major constraint in efficiency. The energy efficiency industry is in a difficult spot. Everyone recognizes that financing is one of the biggest constraints holding back the market. And it's not from lack of interest: the biggest investment firms in the world say there are billions of dollars sitting on the sidelines waiting to get funneled into efficiency projects. However, a lack of lending standards and uncertainty about project performance are two major factors preventing a surge of new money. The other factor is inconsistent policy adoption, which limits project volume and makes it hard for large institutional investors to lump enough projects together. So there isn't sufficient volume to bring in more financing, and the lack of financing (along with lumpy policy) is holding back volume. 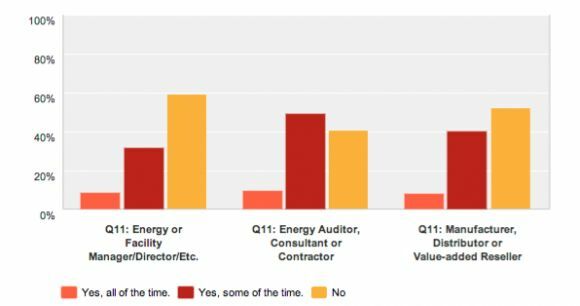 A new survey from Noesis Energy shows why this is such a major problem. Noesis is a Texas-based startup building an online platform to connect efficiency professionals with customers. The backbone of the company's service is a free virtual auditing tool that allows building owners and managers to benchmark and monitor a facility's energy consumption. In turn, efficiency firms and consultants hawking their energy services can evaluate these opportunities and bid on potential projects. Since launching, Noesis has brought tens of thousands of efficiency professionals into the service and added more than 22,000 buildings to its database. It's also raised $12.5 million from venture investors. Because Noesis has such a big community of people engaged on its platform, the company's VP of marketing Dave Jaros has been eager to use their collective power to answer some questions about the state of the market -- mostly related to the appetite for financing. So he recently sent out a survey to users asking them about how they originate projects and received 328 responses from a range of business professionals. Energy managers working within companies seeking to invest in efficiency said they are only pitching a handful of projects each year. And these managers are reportedly pretty successful, with more than a third saying they get half of their projects approved because of their ability to fund projects internally. But outside contractors and consultants have a much harder time, with half saying that only 25 percent of projects ever get off the ground. 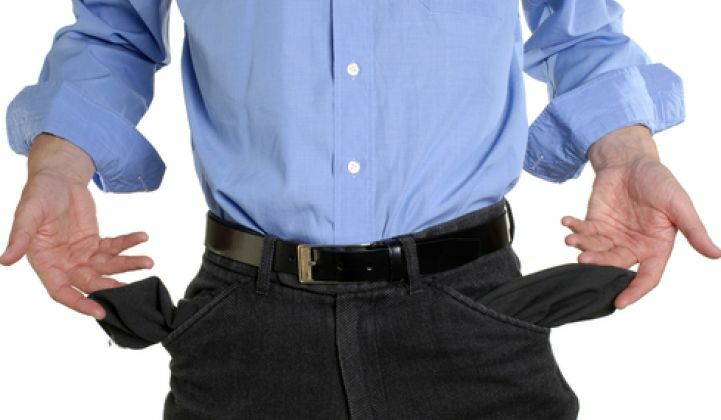 More than 50 percent of the time, this is because the customer has no budget. Another quarter of the time, projects don't move forward because of a lack of certainty about performance and savings. These failures are often rooted in the lack of financing options available to contractors and consultants, said Noesis' Jaros, speaking to GTM about the results. "Projects often aren't getting approved because of lack of budget -- and that goes back to the lack of financing options. These findings supported our hypothesis about the demand for third-party financing on the project side," said Jaros. The survey points out where the industry is lagging. But it also vindicates recent moves Noesis has made. Back in May, the company unveiled a partnership with four firms to provide financing options to energy service professionals pitching projects on its platform. The options include capital and operating leases, efficiency services agreements, managed energy services agreements and property-assessed clean energy. Noesis executives were upfront about their desire to emulate the rapid rise of third-party solar financing companies -- particularly Clean Power Finance, which offers a similar "matchmaking" service for solar companies, potential customers and financing providers. "We have been consistently hearing that finding the right people to arrange financing is hard in efficiency," said Jaros. "These findings support that." Deutsche Bank Climate Advisors recently estimated that the total cumulative market for energy performance contracts, energy service agreements and property assessed clean energy in the U.S. is between $4 billion and $6 billion -- barely scratching the surface of the $279 billion potential it identified in buildings around the country.